These magnificent earrings for pierced ears were designed by Alan & made by our jeweller in 2015. At the top of each earring is a trilliant diamond in a three claw platinum setting. Suspended from each diamond is a pearl and diamond drop. 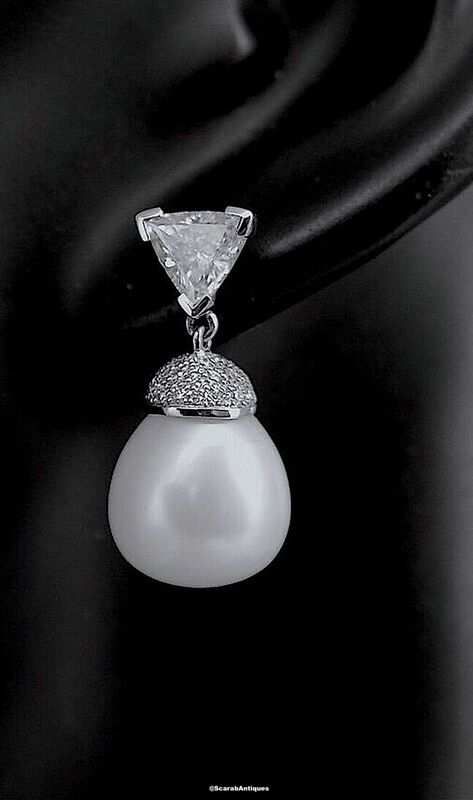 The top of the drop is a domed platinum cap set with 46 small round diamonds that fits over the top of a fine white South Sea pearl. The earrings are for pierced ears and have large 18ct white gold butterflies. The earrings are hallmarked on the platinum posts by the London Assay Office for platinum and 2015 and bear the sponsor's mark "A&SP" for Alan & Sue Poultney. These earrings are very elegant statement pieces. 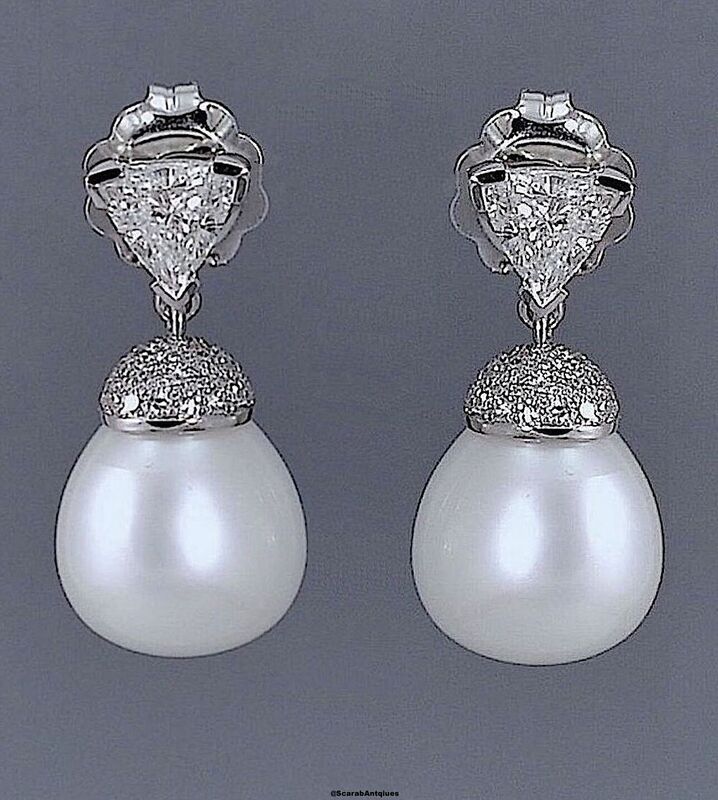 The earrings are accompanied by a pearl Report for the Gem & Pearl Laboratory dated 03 June 2015 stating that both pearls are South Sea cultured pearls measuring 14 -16mm each. The earrings are also accompanied by two jewellery reports dated 11 June 2015 from IDRC in respect of the two trillion cut diamonds.